There were times when the club’s future looked bleak, but OFI Crete have returned to the top flight of Greek football, winning the 2017/2018 Football League in heroic fashion. AGONAsport takes a closer look. In 2015, when OFI suffered relegation to the Gamma Ethniki after encountering fatal financial issues, the thought of the club playing in the Super League again in the near future appeared a pipe dream. Nevertheless, just three years later, the Cretans are back. OFI took the Football League by storm this season, earning an impressive 86 points in 34 matches to pip Aris Thessaloniki to first place and win the trophy. However, at one point, things were on the verge of falling apart. Back in December 2017, money problems once again cast a looming dark cloud over OFI. According to reports in the Greek media, the squad simply wasn’t receiving its wages, resulting in players such as Nikolaos Kouskounas, Armiche and Mario Martos leaving the club. OFI’s charge back to the Super League was coming off the rails, but wily head coach Nikos Papadopoulos somehow managed to steady the sinking ship, notably signing Athanasios Dinas, Nikolaos Vafeas and Patrick Vouho in the January transfer window to compensate for the losses. Gradually, as the campaign continued, less attention was paid to the monetary matters and OFI slowly got their act together. Despite threats of liquidation in the air, OFI’s players did the business on the pitch, embarking on a stunning winning streak and showing real desire with the backing of their passionate fans at the Theodoros Vardinogiannis Stadium. Both OFI and Aris were going toe-to-toe with each other at the top of the standings, so it wasn’t surprising to see the Football League’s fate decided in a match between the two clubs. 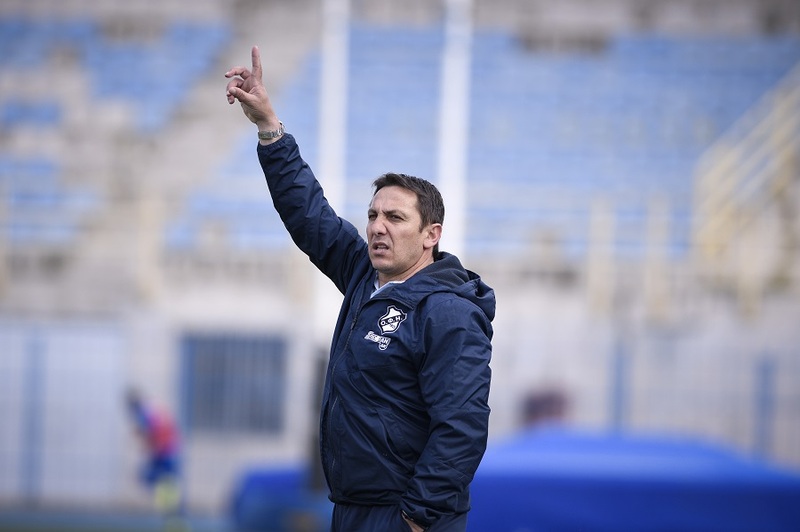 Hosting Aris at home in early April, the Heraklion outfit knew another win would go a long way to clinching the title of Football League champions. Aris came into the match without a single defeat in the campaign, but OFI soon put an end to that statistic, proving too powerful for the Thessaloniki club with a 2:0 win. Dimitris Manos opened the scoring in the dying moments of the first half, before Vouho doubled the advantage with a wonderful, pinpoint effort from distance. After that victory, there was only going to be one Football League winner. On May 27, OFI thrashed Sparti 5:0 in Heraklion, in turn winning the division and earning promotion to the Super League alongside rivals Aris. It’s a season which OFI fans won’t forget in a hurry, however life for the Cretan club is about to get a lot tougher. Top scorer Manos, who almost single-handedly beat opposing goalkeepers with a huge return of 27 goals in a mere 26 Football League appearances, is wanted by Olympiacos and the possibility of him staying put in Heraklion is rather unlikely. If OFI can somehow keep a hold of their prized possession, their chances of performing successfully in the Super League will take a sharp rise, but Manos’ contract has reached its completion and it will be a surprise if he doesn’t move. 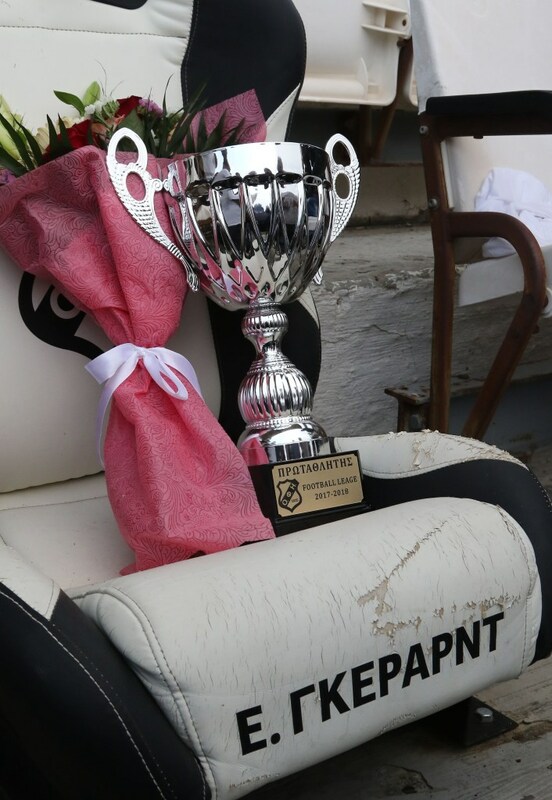 Finally, in a touching gesture, OFI placed the Football League trophy in the seat of the legendary Eugene Gerards, the club’s famous ex-head coach. Gerards sadly passed away in January following a battle with a serious illness, but he would surely be proud of OFI’s gritty efforts in a testing season to climb the mountain back to Greece’s elite.